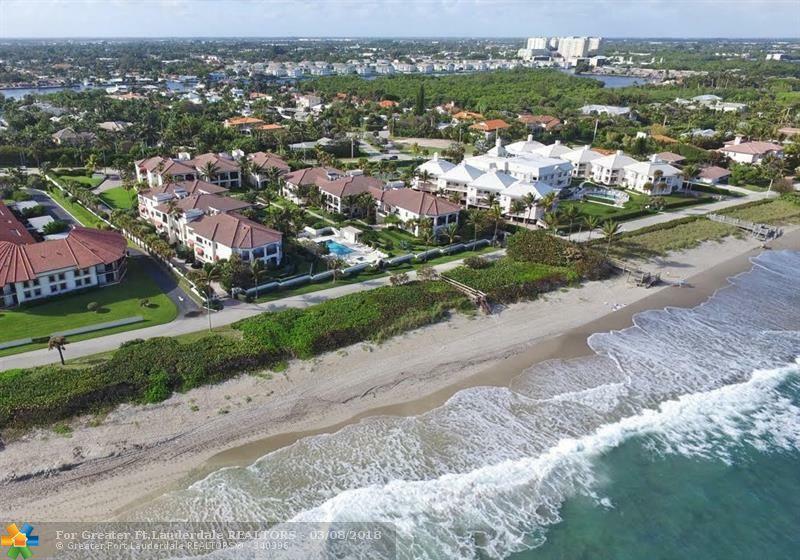 Rare opportunity to own this splendid ocean front property in Portofino of Ocean Ridge. 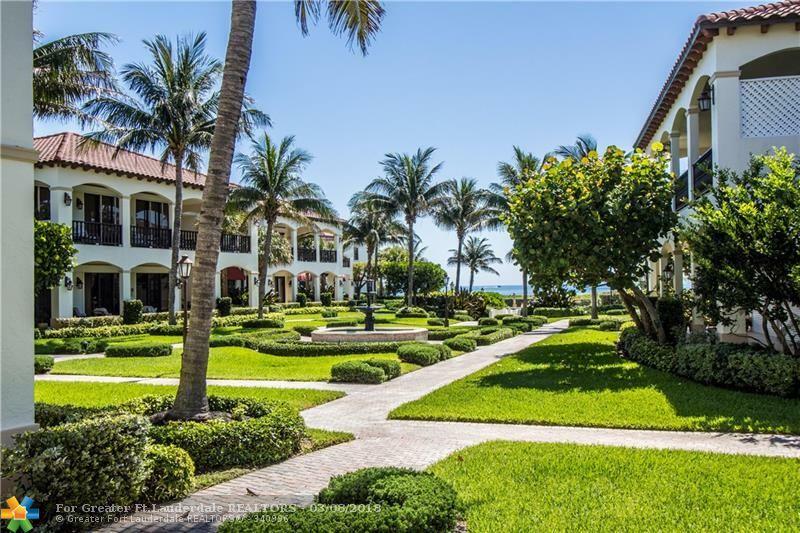 This elegant and spacious condo features a 2-bedroom floor plan with a library/den + 2.5 baths. 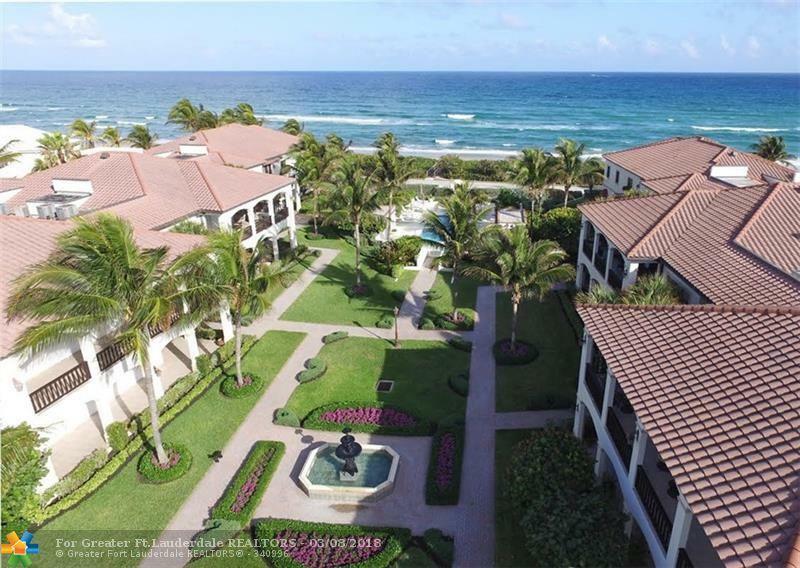 Come and enjoy the superb view of the landscaped courtyard and ocean from your living area and large patio. Marble floors through out the living area, semi-private elevator taking you directly inside your unit, impact windows, private 2-car garage and oversized storage facility. 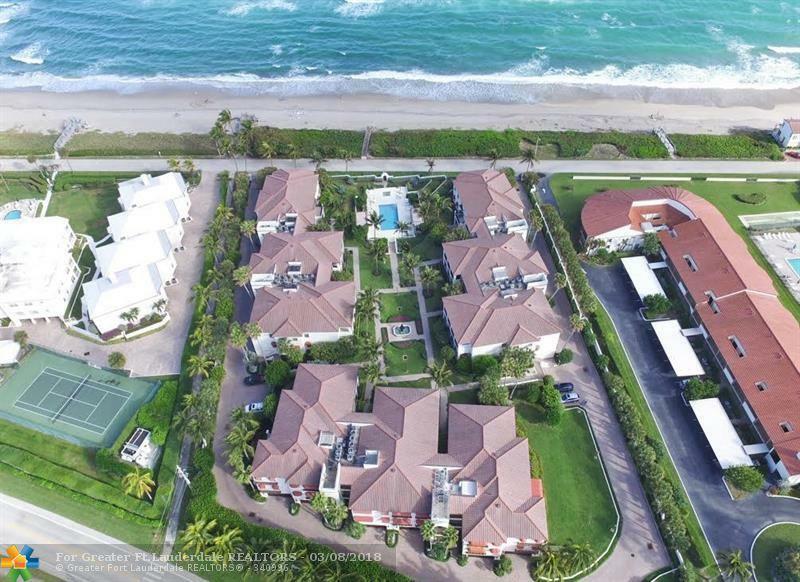 The property is being sold furnished/turn key.